One of the ongoing battles faced by smartphone and tablet vendors, particularly when attempting to bump the specs up a generation, is maintaining a relatively strong battery life. Squeezing better hardware into the same (or an even smaller) package places an incredible amount of strain on the juice-o-meter, and while the major companies have managed relatively well thus far, there are always those occasions where we wish the battery retention was just a little bit greater. 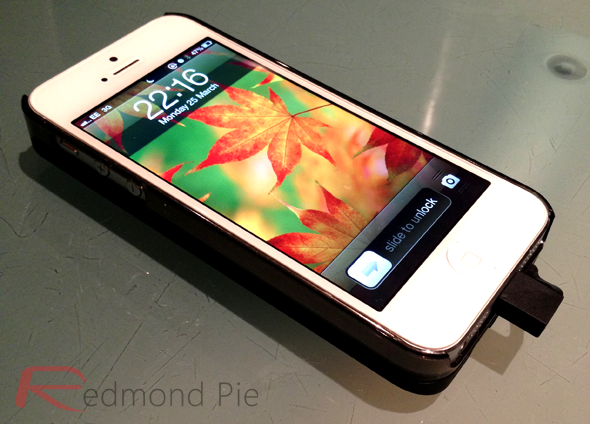 There are plenty of remedial peripherals currently on the market, particularly for Apple’s flagship iPhone 5, and in our quest to bring you as many of the latest and greatest gadgets and accessories, we’ll today be checking out the NuCharge battery pack and case designed by London-based iKit. 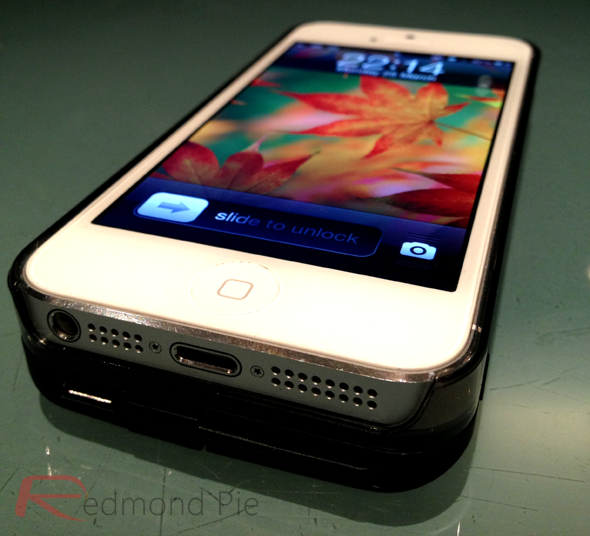 There’s little argument that, in terms of design, the iPhone 5 is among the prettiest. So it stands to reason, then, that any charging pack should do its best to remain in-keeping with this motif of slick aesthetic properties. It should also, one would hope, try its best not to pad out a device which is about as thin and light as you’ll find at the higher end of the mobile industry. 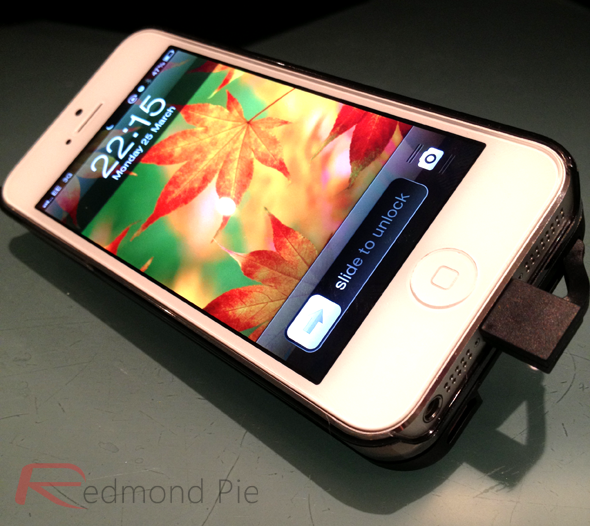 The battery compartment hides a Lightning connector which can be pulled out whenever the additional charge is required. If you wish to keep tabs on how much battery remaining within the NuCharge, there’s a little button on the side which, when pressed, offers a line of dotted light indicators (think MacBook Pro), and in turn, lets you know how much battery you have left. Ideal for the frequent traveller, the NuCharge offers 225 hours of additional standby time, eight hours of Web, eight hours talk time, ten hours of video, or 40 hours of extra audio playback. In our own tests, we found these numbers to be more or less accurate. Having used it for a week, I have been pretty astonished by how much it has improved the experience of using my iPhone 5. Sure, it does somewhat bulk out the pocket, and now has to be slipped on the inside of the jacket rather than the front of the jeans. However, the amount of additional time I can spend using the device makes it all worthwhile; I can play a game for a couple of hours at a time without that feeling of guilt, fearing that I am forgoing a more pressing task which might arise later on in the day. Not only does it look good and feel great in the palm as well as the pocket, but it also includes one further little extra feature. Upon close inspection, the back also includes a nifty kickstand, so if you’re on a plane, train, or any other kind of long haul mode of transportation, you can easily turn your device into a miniature cinema and enjoy a movie without constantly checking the battery levels. All in all, I am impressed with the NuCharge, and with the Kickstarter campaign having just a couple of days to run, interested parties have a very limited opportunity to register their interest. It will ship as of April, and by making a $59 pledge, you can secure yourself a fantastic charging pack which will cost upward of $79 when it hits the consumer market. 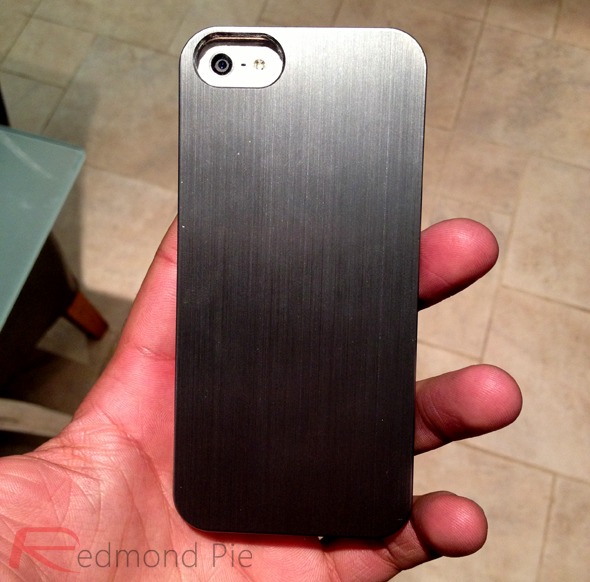 iKit was kind enough to provide Redmond Pie with a prototype model for the purpose of this review.